We absolutely loved our time working with David. He is so nice, knowledgeable and a pleasure to work with. He was very helpful with teaching us how to train and communicate with our dog, Sherman, in ways that actually work and are easy to fit into our everyday routine. We noticed positive results in Sherman's behavior immediately. We highly recommend David and Bark Busters! David is the Cesar Milan of Seattle. Truly, he helped us see an immediate change in our dogs behavior while he was training with us. AND he taught us how to leverage tools/resources to better communicate with our dog. He is incredible and worth every penny! David Wiley is such a nice guy, but is also able to “speak dog”. I love that we are training our dog without treats and with body language and tone of voice. We noticed a difference in Paisley after our first training session. After some work on our part, we are confident that Paisley will be happier and well behaved and that we will be happier dog owners! Great session with David Wiley! Learned so much and am excited to put it into practice. Working with David was a pleasant and rewarding experience. Not only is he a very nice guy, he was able to form an instant connection with Ginger. His advice was easy to follow, and has had a lasting impact on Ginger's behavior. I highly recommend David! The training with David Wiley was very helpful! We have a challenging, 78 pound, 1 year old, powerhouse of a male German Shepherd named Wil. We are learning, having fun, and progressing forward as DAVID WILEY IS THE BEST! Several of David's characteristics contribute to his excellence. He listens and thinks of specific ways for Wil to succeed. He's respectful to all and his methods are very humane. He prioritizes our goals, for example, first, be a leader. He explains that good dog manners at home lead to good dog behavior in public. (With good behavior Wil will be welcome many places.) David asks the right questions. Also very important, David clearly, concisely writes the training instructions, with bullets, to be followed. He reminds us our goal is "voice control". Another especially valuable feature of his training: he coordinates with "BarkBusters' training exercises handouts with descriptions. This acts as a reminder and as a reference for the home work. There is endless variety for us to do, so it's never boring. But David's crowning glory was when he walked to the baseball field with us, (a public place with some distractions), and demonstrated calling "Come" to a reluctant Wil. David worked quickly, stooping down, calling cheerfully, then the firm but gentle refocusing, and a quick check on the leash, then loose again. It all happened so quickly and yet included so many parts......Wil was not confused. He knew what was asked. He simply trotted to David and sat down. This demo inspired me to practice more and more, and to understand more the other lessons as well. The demo was slick! And it worked! It was also the "attentiveness training" demo that made sense and inspired me to start out each morning with that exercise to get Wil's focus. And we have, most every morning since. Lately, Wil walks with me from start to finish, while checking in on me too. You and your dog will enjoy training, and progress forward more quickly than expected if you are fortunate enough work with David Wiley! We have had an intro session and one follow-up with David, and our dog responded almost immediately. David was very clear with instructions and examples. He has given us a lot to think about and to work on, but not too much. The written materials provide helpful reinforcement. Most important, we feel more comfortable working with our dog and she seems calmer and happier. David is fantastic! My wife and I adopted our big-headed and bigger-hearted 65lb pit Dottie five months ago. Out of the box, she came with severe separation anxiety and was quite the wild beast on walks. After only a few sessions, David has helped us to get Dottie comfortable in her crate while we are away, and has her walking like a show dog champ. We can't sing David's praises more loudly. His professionalism is outstanding, always responsive and available. He has many times adjusted his schedule to ours, meeting on weekends and early mornings. David has consistently handled our anxieties and frustrations as new dog parents with endless patience and compassion. We couldn't do this without him. David is a wonderful trainer! First, an hour 1:1 training me how to be an excellent 'Doodle mom. Then two hours 1:2 helping Hannah and I become a great team. David was calm, clear, patient, funny and uber dog-smart. Hannah was puzzled by how he ignored her for the first 5 minutes. Then he had her at 'Hello'! In an urban setting with no fenced yard, I felt very challenged around enough exercise, how to have a pleasant walk meeting other dogs and calming a territorial streak. With David's techniques, tools and patience, 2 months later Hannah and I are a winning team. I cannot believe the improvements - and they started the minute we met. I have remained diligent and the lessons David taught are still practiced every day. The Bark Buster harness is the best investment, except for David, that I could have made! Thank you! Because of David, I am enjoying my dog so much more. In a single session, he taught me how to speak 'dog,' act like the leader of the pack, and curb the behaviors that were really frustrating me. My German Shepherd mix puppy is a ball of bouncy high-energy who wasn't really listening to me. Little did I know, I needed to fix ME, not her! David's practical insights and practice exercises made perfect sense and helped me completely change my approach, which immediately helped my Audrey respond better to me. As a result, we're both happier. It's improved our relationship. The 'homework' is actually fun. I learned so much in the first 90 minutes, and was surprised by how quickly it worked. David is patient, calm, kind, clear, approachable, hands-on and has a gift for easily and quickly communicating concepts and demystifying canine behavior. This is the first training to really work for me, and it's made my life with my dog so much better! I found the training very helpful. David Wiley is great! we look forward to continuing training with him. He is fun, laid back and really personable. He explains the concepts and ideas very clearly and is willing to go the extra mile to ensure we understand. A great part of working with him is that he understands each situation is different and is willing to work within our specific situation to get results. I love this type of training. It is something that we can continue to use throughout our lives with future dogs to come. Thanks Bark Busters! Only after 1 training, we started seeing immediate positive changes in our mini aussie. David's wealth of knowledge and expertise in handling our dog gave us the confidence to continue the training every day at home. David was able to explain and show us effective techniques to deal with our aussie's resource guarding. David was excellent at providing practice tips to use with Tank. 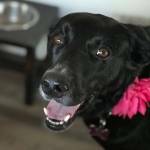 #BarkBusters David has been an invaluable resource as we train our 1.5 year old Labradoodle (er - rather, train ourselves to be better in managing her behavior!) She is incredibly shy with new people, and with a very sensitive stomach, treat-based rewards / reinforcement are unfortunately not an option with her. David has been very accommodating of her quirks and has armed us with techniques and "homework" to continue to train her in a way that is both effective and further promotes bonding between us. His techniques are simple in nature but get the job done, as he teaches us to utilize body language, vocal tone, etc. to build trust with our dog rather than repeatedly discipline her. Yes, this training is certainly an investment, but given our multiple at-home visits, in-office visits, etc. to date and the noticeable improvements in our working relationship with our pup, the investment is well worth it! This training was so very helpful!!! Our dog had been traded around to a lot of different homes, kept outside only in the past, was extremely anxious and could not focus. She and I learned so much in one visit including reducing her aggression toward our son, stopping the door charging and barking, and we are still working on staying calm when she sees other dogs on a walk. We almost did not know if she was trainable, and now she is able to stay focused and do what I ask. I highly recommend David Wiley to anyone with a challenging dog! Thanks Barkbusters!! David Wiley is a fantastic trainer! Sessions are simple, concise and most of all effective. I literally see results right away in the same training session..it is so pleasant to have someone I can call on to help when needed..best of all my dog and I are both happier. I believe in the training as it is all about voice control and no physical force, shouting or harmful techniques are used just simple voice commands. I own 2 pitbulls and want them to be great ambassadors for the breed. David is magical. Our good friends even went and adopted their own pitbull who has also turned out to be a wonderful family pet after they were around my 2 pitts. Thanks David! David Wiley was such a big help to us when we first rescued Toby. He was a great puppy but was not house trained and nipped and jumped on everyone. Â We learned some great tips from David to help redirect Toby and teach him our house rules.Thanks to David we are able to enjoy our new puppy. I highly recommend Bark Busters and David! Really enjoyed our time with David Wiley. In just 3 hours we got a lot of information on techniques and insight into our dog's behavior. This was 10 days ago and we are seeing marked improvement. Love the Wagg Walker harness and the Gamechanger toy! David Wiley is very knowledgeable and friendly. Talk about progress! After two visits Baby(German Shepherd, AKC, 2 years old) and I are walking together 100% improved. Baby's other issues are also seeing huge success. I didn't think I needed a trainer because I had lots of experience with dogs over the last 40 years. But David showed me many things I did not know. And now me and Baby are happier than ever. Thanks SO MUCH David. You're the best! David was very professional and very knowledgeable. He addressed all of my questions and concerns. My puppy's behavior improved almost immediately! My wife and I hadn't owned a dog as adults. We adopted a sweet, energetic but anxious 6-year-old Rat Terrier mix and quickly realized we needed training help. David Wiley has helped us create a calmer, more structured environment for our dog. The positive training methods have helped our household (including 2 young cats) adjust to each other in a short period of time. We appreciate the time David took to explain the behaviors we were exhibiting that made our dog less focused and obedient. Now we know what to work on and how to educate ourselves and train the dog properly. We are seeing results -- our pup is happier, calmer, and has less anxiety. It's plain to see David loves what he does and really cares about his clients -- both humans and animals. The program is an investment, but we feel great about our decision to work with David. David has a natural way with dogs and humans. He patiently explained how the training process works and how to communicate with our dog. I especially appreciated clear examples of why certain methods do or do not work. It's a lot of information to take in during one session, so I look forward to the follow-up sessions to reinforce what we've learned. David Wiley really helped my wife and I get better control over our very energetic and somewhat anxious lab/shar-pei mix. We saw a big improvement in her behavior once we understood how she was perceiving our tone and actions. We purchased his training plan for the life of the dog because we signed up to be foster parents and knew that introducing kids into the home would likely require more training hours. We were right! David stopped by last week to work with our first kiddo who loves the dog, but has no idea how to behave around dogs. He was eager to learn and David was great about finding a way to make rules (which are never fun for kids) make sense and feel relatable. I'm relieved to know we have a dog whisperer an email or phone call away! After attending literally all of the other dog trainers in Seattle to no avail, we decided to give David Wiley & Bark Busters a try to help curb some unwanted behaviors in our mini Aussie, Pete. David was able to quickly identify the root cause of Pete's barking and pulling, and the exercises he recommended work - we saw Pete change his behavior while practicing in our very first meeting! For other dog parents like us, who are feeling like no training is working for your dog, call Bark Busters! Their approach focuses just as much on training the humans, as it does with the dog, which in our case is what was needed. We are more optimistic than ever by seeing positive changes every day that Pete will be the great dog that his Moms know he is. Thank you David, we really look forward to continuing to work with you! David was very thorough and patient. I felt he provided good information then hands-on instruction. I like the Bark Busters method- not using treats and using voice to command to redirect. The lesson was great! Pepper is well behaved for the most part but David Wiley really taught me a couple of techniques to use in order to continue her training. David Wiley was extremely helpful and encouraging. He recognized that I have done a lot of training already so we were able to get to the core issues quickly. His advice was practical and do-able in everyday life. I have been using the techniques for the past few days and observe changes in my dog's behavior already. Many thanks; good start! We hired David Wiley to come help us with our 5 month old German Shepherd, Luna and saw immediate results. She jumps, barks, pulls on leash, and has a hard time listening. He spent 3 hours with us on his first visit to get to know us, our schedule, and current interactions with our pup and called us out on behaviors that we didn't even know had a negative effect on our dog. David was very patient and took the time to explain all the techniques and dog psychology that is involved with each unwanted behavior as well as how to stop them. Within the first session she was already calmer and more receptive to our commands! Not to mention mental training with your pup will tire them out more quickly than physical exercise so that's a bonus. Training with David will definitely expedite your dog's learning process especially if you've never had dogs before. I highly recommend his services if you want to work your way towards a well-behaved dog! David Wiley was a tremendous help in training our small dog, Lucky. His patient and straight-forward teaching method greatly improved Lucky's aggressive and fearful behavior. This not only helped Lucky, but helped our household be more cohesive and calm. My boyfriend was finally able to connect and bond with my dog, making us all happier. I tried other training methods before Barkbusters with little effect. The focused attention of the Barkbusters training in our home achieved immediate results. David showed us some really great, easy to use techniques that made a world of difference. David is very intuitive in understanding my dog and provided amazing insight and tools to use to improve behavior, especially the barking. After our second session, the barking has been reduced by 75% which is such a relief. WE are on our way to a more peaceful household! David is unbelievable at what he does. His training techniques worked almost instantly with our dogs and with proper follow up on our part they will be obeying our commands 100% of the time. Truly impressed and thankful for his help. The training started to work almost instantaneously. I felt like Cloe was a lost cause and there was never going to be a way to train her, and after the first visit with David Wiley I've seen so much improvement with her, and it's building a much stronger relationship between both of us. We worked with David Wiley on some barking and other issues with our puppy, Hank. It was an amazing experience. After just one session, Hank stopped counter surfing and jumping up at people. He's also calmed down considerably when people come to our house to visit. We continue to work with him to keep up the progress, but we never would have known where to start if not for David. Most importantly, David confirmed for us that our dog is not aggressive or a problem, but rather needed consistency and boundaries and better direction from us to thrive. David is incredibly talented, and can help even the most seasoned dog owners with his observations and general mastery of dog behaviors and training. David was wonderful! He showed me how to gain Porter's attention even when she was becoming escalated towards another dog. His demeanor was wonderful and put me and Porter at ease. He was kind, attentive, and most of all incredibly helpful! This is just what I was searching for. Thank you! We were very impressed with David and are very happy we contacted Bark Busters. We already are seeing a difference in our dog's behavior since our first training session. Looking forward to our follow up sessions! David was so easy to work with and Zeus took to him right away. His task was really with training me. David Wiley was incredibly awesome. First of all, its so clear that he understands dogs so well, and also knows that each dog is not the same. I adopted Fern from Wenatchee Valley Humane Society one month ago, and it was clear she was very upset and anxious when I left her alone for even a minute or two. David worked a lot with me and helped me understand what I need to be doing to improve this situation. He is a great teacher and explains things very clearly. He is also sensitive and understanding when it comes to knowing that making changes can be difficult. After our session, I felt so much more hopeful about helping Fern with separation anxiety, and I learned that I have to establish my leadership. He also, with one swift motion of explaining to me that I should take Fern to specific spots to go potty, cured Fern's fear of pottying in the city. It hasn't been an issue since that day. So far, each day we practice specific things and each day is improving. Some days I don't practice everything, but if I hadn't had David's guidance, I would be completely lost right now. It is clear to me that the success of Fern's adjustment is on me and my consistency now, and I have the tools necessary thanks to the training with David. David Wiley changed my walking my sweet dog inside/cujo outside into an enjoyable experience and gave me techniques that work!Â And he is very cool. The session was informative. David was nice and walked us through the process of training and what to expect with a puppy. He spent some time working with both of our dogs. We are very pleased with how our dog responded to the first session of training. He has continued to get better each and every day. David Wiley did a wonderful job with our anxious little rescue dachshund. He sent information and instructions ahead of time, and when he arrived, he was clearly well-prepared. He took the time to understand our issues, and to get to know Huxley. After a 3+ hour initial session (and one very tired little dog! ), David had provided us with enough instruction to continue Huxley's training, and get her on the way to being more confident and less anxious. Since our session, Huxley has shown quite a bit of improvement in terms of barking at strangers, walking on leash, and listening to commands. We're still working with her every day, and still seeing improvements. At 8 years old, we were concerned that she would be difficult. And quite honestly, she's very sweet, but not the smartest dog I've owned. But she's taken to David's methods quite well. I whole-heartedly recommend David and Bark Busters! I truly appreciated David's patience with Charlie and myself. He has me feeling confident that with continued training, Charlie will be crate trained. David Wiley is professional, patient, and effective. We have an eight-year-old lab who displays fear-based aggression to strangers when we leave him for vacation. David helped us set up new, stricter parameters for Baloo to provide more structure for him. Within a week, we saw positive results. I highly recommend David's services if you need help understanding and correcting dog behavior. He is clearly an animal lover, too, which is important. David was very helpful, nice, and professional. He taught us many ways to deal with our 7-year-old lab's aggression related to separation anxiety. He was patient, and creative with his technique due to our unique situation. Baloo is an even better dog now! WOW. David Wiley has super powers. It was night and day after our first session. My dog, Bear, really responded to David quickly. More importantly, I was able to take charge of Bear and she went from needy and barky, to calm and quiet. Seriously, I noticed a huge difference after two hours. I am at home with my new baby and Bear has been more needy. I felt it necessary for someone to come to my home and help me! David was wonderful to my dog, but the owner really has to work very hard to keep their dog in check. He made sure I was properly informed and he made me feel so comfortable to ask anything. I can walk Bear now without her pulling me and she no longer jumps up on people. Thank you David! I am so happy we picked you! Great first training session. Happy to see improvement happen almost first training day. Loved the detailed overview I received from David Wiley! Excited to have perfect dogs with David by my side. I want to recommend David Wiley to everyone I know. And I write this review with tremendous gratitude. David is knowledgable, patient, and encouraging as I learn to be the best dog parent I can be. Charley is my second lab. My first lab had separation anxiety and a lot of behaviors I unknowingly and unintentionally reinforced. My first lab had no formal training, and I became very aware that many of his behaviors were a result of my lack of knowledge. I knew I didn't want to repeat that so I did a great deal of research to find the training that would best fit what I was looking for, and David has been exactly that. Prior to picking Charley out and bringing him home I contacted David. He was available, listened to my concerns, and recommended I read the book Speaking Dog the Bark Buster Way. I ordered it right away and read it as soon as it arrived. That was the beginning of what has paved the way. Once Charley was in my home David came over and walked me through the first session, educating me, listening to my concerns, and hearing my hopes for the relationship I wanted with my dog as well as the relationship I wanted my dog to have with others. I particularly love how David teaches without the use of treats or clickers, but just by voice, tone, and behaviors. I am amazed by the dramatic results I'm experiencing as a result of David's teaching. I am grateful for the in-the-moment recommendations and the ways he patiently points out how my reactions to Charley may not produce the result I want. The second session with David was just as wonderful as the first. In addition to the fantastic training in my home, David quickly responds to my emails. He breaks things down so I understand how my dog is thinking and he educates me so I can communicate with my dog in a way that my dog understands. I am proud to say that I have a really cool dog. I love sharing him with my friends and letting him interact with their dogs. Sometimes I think he's a miracle dog, but in reality, I know that Charley is able to be amazing because of what David has taught me. Zulu is a Rhodesian Ridgeback who is 85 pounds and nearly 9 years old. She has always had some issues with separation anxiety and in past years started to show aggression to other dogs. Due to my recent separation from my husband, I am now alone with Zulu in a new neighborhood full of dogs. Walks have become very unpleasant - Zulu goes after other dogs, and I've fallen trying to hold her back. It was becoming a desperate situation for me and Zulu was not happy either. When I found Bark Busters online offering in-home training for all the issues Zulu had, I was hopeful for the first time. Even with David Wiley's first visit, I wsa amazed at what Zulu could accomplish with his guidance and expertise. David explained things, taught me exercises to start teaching her that she is not longer in charge. He is amazing. Having the exercises written out for the following week has been a tremendous help, and I also appreciate the ability to email David with questions. We are now walking in front of our house only. Zulu does not respond to barking dogs, and no longer tries to go after the neighbor's cat. I'm looking forward to expanding our walks into the neighborhood. The equipment (harness, collar) is fabulous. We are continuing to work on crate training so I can leave her safely for short periods. Zulu is calmer and under David's guidance I have learned so much. Plus, I'm regaining my confidence to handle this wonderful dog. I would recommend David and Bark Busters in an instant. My work with Zulu is ongoing, but it feels manageable for me and reassuring that I can call on Bark Busters for ongoing support! Very pleased with the progress our guys have made with just a few hours and our (less than consistent) "homework" after the training with David Wiley! It's clear that consistency is key, but although we lack that (a bit for now, better once the summer break is here) the dogs have responded very well and even appear to be "anticipating" the new way of doing things. They appear calmer and less likely to impulsively jump, and seem to respond more quickly to verbal commands. Overall.....Very happy!!! Our main goal in training Bruce has been to get him to keep his focus on us and be able to recall him when we are around other dogs and in other exciting situations. So far David has been incredibly knowledgeable and helpful when it comes to teaching us exercises to work on. It's only been a few weeks but David's tips have definitely helped us make progress! We are really starting to see a difference in Bruce, and his potential of being our dream dog! I was skeptical of how the training was going to go. After I met David, and he talked me through it, I felt more at ease. I felt even more at ease when I saw how my dog had taken a lock-in to him. David is very helpful and knowledgeable of dog training. Thanks to David, we understand our dog more, and she has been a better pal! We highly recommend David Wiley for dog training! Our rescue dog had become very protective of us and started nipping at people. He also was barking at anyone/anything that came near the house. We contacted David and hoped that the problem would be resolved. After just one session we saw a dramatic improvement in our dog's behavior. At the second session, David gently pointed out some things we hadn't quite mastered (this is really about training the owners!) and again, we saw significant progress. David is calm, clear, and remarkably knowledgable. Without any physical punishment, without yelling, without frustration, and without treats, we have been able to help our dog understand his role in the family. We all are much happier! Plus we have the assurance that, should anything arise in the future, we have someone ready to step in and help. Well worth the money. Just in a few minutes of meeting David Wiley, both of our dogs - our new puppy and our older rescue, started responding to the training. It was incredible! The tips David gave to us on crate training our little new puppy, and what we can do while we are away from the house has just saved our lives! Also we've gotten a lot more respect from our older rescue too! David is a miracle worker, and we are so excited to keep working with him!! 1000% recommend David for anyone looking for puppy/dog help! Enyo is an 80 lb 9 month old puppy. She is also a White King Shepherd. The combination of a large, energetic, playful puppy with the intelligence and stubborn streak of a German shepherd, makes training her extremely difficult. David Wiley helped me rein in her energy level by teaching me how to drain Enyo mentally. I no longer have welts or cuts all over my body from Enyo jumping on me or grabbing me with her teeth. Although she still has a lot of work to do, we are on a good track. After all, it's only been 3 weeks since we got our first lesson. David was great at our first puppy training session. As this is our first dog he was very patient and helpful with all our questions and concerns. He helped build our confidence and gave us some great tips for our girl Mali. We worked on her areas of opportunity as well as commands. We are already starting to see a difference in her behavior (and ours!). We are really looking forward to working with David and learning more to help our girl become a great dog. Before David Wiley worked with us and Rosco, we were at a complete loss as to what to do regarding a multitude of issues. The main pain points included barking incessantly out of our front window, out of control leash walking and reactivity with other dogs both on leash and off. We tried a lot of different methods of training on our own and finally got to a point where we needed professional help. After the first session it was surprising how well and quickly Rosco responded to all the methods David taught us. Previously we were doing all the wrong things and confusing Rosco which is why nothing was working. After two follow up sessions we now have all the tools and methods to know what to do in all of his "problem situations" and we've seen tons of improvement with all 3 behavioral problems. I'm so glad we found BarkBusters, Rosco is much happier and the stress of dealing with his issues is now gone. David Wiley is a miracle worker and words cannot express how happy we are with the results! I was skeptical that we'd see a difference in my partner's dogs and was feeling really hopeless about us living together. 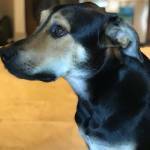 David visited my partner's home to help us with 2 dogs, a German Shepherd/Schipperke mix (8 yo) and Beagle/Rat Terrier mix (6 yo). David calmly educated us on positive training methods and recommended changes that could improve our relationship with the dogs e.g., feeding 2x day instead of free feeding, keeping the dogs confined to 1 room when we are away to reduce their separation anxiety. He reminded us that we had to practice with them every day and that they would continue to test us and try to passively train us to do what they wanted. After we were trained he focused his attention on helping us train the dogs to respond to our commands to stop jumping, calming them down when we answer the door and getting them to wait before eating and leaving the house. The dogs behavior changed immediately and we are so thrilled with the results. The results have changed our lives. I no longer have any anxiety about moving in with my partner and feel empowered to be an effective pack leader. I can't even begin to express my gratitude! Thank you David! In just two sessions, David Wiley taught our family the basic skills and tools to address and correct our little dog, Tommy's behaviors. Our control of Tommy and our relationship with him have improved significantly. The results have exceeded my expectations. David is professional and personable, and genuinely cares about helping owners and their dogs. Working with David Wiley has been a pleasure! Molly is a 17-week-old and he has really helped us manage our typical puppy problems. While Molly is still a work in progress he has given us a great foundation of dog obedience and we have seen a quick response from our pup. David has made three visits to our house but he is always available by phone or email if we have some immediate questions for him. I feel like we've really learned how to train our puppy to grow into a wonderful dog! David Wiley was amazing!! My dog had issues jumping and mouthing and it was becoming really stressful for me. I was not able to control him on walks because he would pull too hard and chase every fuzzy or feathered creature he would see. David gave me clear direction and I felt very comfortable with him in my home. His direction was constructive and made sure I understood everything. He also answered all of my questions with impressive detail. Now my dog is an amazing mush that I can take just about anywhere without a second thought. I brought him to a BBQ where he met about 30 strangers and he didn't jump or mouth any of them! I recommend David to all of my friends in the Seattle area. 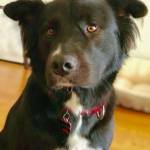 We have a 7 y/o medium sized black lab mix and a large, 2 y/o German Shepherd, both males, and who both can be quite excitable towards strangers and strange dogs. Knowing that large dogs can be quite intimidating, especially when they are pulling and barking at other dogs, our goal was to be able to take them out and walk them both with confidence, and without having to make great detours on the threat of aggression towards other dogs. We shopped around for trainers and had come across Bark Busters, but decided to go for their services when 1. they were the only company that seemed to share the same training values as us and 2. our vet recommended David. And we are so glad we did! David always listened to our needs and goals, always showed up on time, and followed up with us after our training sessions. He was personable yet professional, and gave us the tools and exercises to work with our dogs to train them to not bark at other dogs, to not pull on walks, to focus on us, and several other behaviours around the house. In just two months, we are now able to take them to restaurants with other dogs, and have even been complimented repeatedly on our well-behaved dogs. It is such a relief and really makes for a happier household. David Wiley knows dogs! Our rescue dog was easily distracted and difficult to control, especially if there was another dog or cat around. David's method does not use tools, only verbal cues and dog psychology to control your dog. This is a superb method because we can be in control all the time, whether we have treats in our pocket or not. Training sessions are actually more to teach me, as the dog owner, how to manage my dog, rather than handing off my dog to a stranger to be "conditioned." In the 6 weeks that David was watching our progress and advising us, my dog developed into exactly the type of companion I've always wanted. He's friendly and has a big personality, and I feel like I can communicate with him better than some people I know. Bark Busters training is invaluable and I would recommend it to anybody with any kind of dog problem. Best of all, it doesn't matter how old your dog is. You pay one flat fee and your dog is covered for life. If a new behavior develops down the line, give them a call and it can be addressed for no extra charge. Expensive, but absolutely worth it if you care about your dog's behavior. We first started working with David Wiley when we got a 1 year old corgi almost 8 years ago. He had been a show dog, so didn't really know how to live in a house with people. He got very anxious with people coming and going and absolutely hated the doorbell. David helped us so much to get his behavior under control and to know how to make him feel more relaxed in our home. Then last year, our corgi seriously injured his back and back-slid in his behavior during the recovery process. This is where the BarkBusters lifetime policy really helped us out. We were able to call David after not needing his help for years and have him come right over to help us address our dog's new behavior issues. Within one day of that meeting we already saw results. It's such a relief knowing that we have someone to call when we don't know how to address our dog's behavior. I highly recommend Bark Busters and David Wiley in particular. Loved it. Our new dog came with many problems--house training, walking issues around pulling and scanning for squirrels, gulping food without chewing, going nuts when we returned home. We felt better equipped to handle these issues after David Wiley showed us equipment that might help and techniques to teach Fudge how to better operate in this world. After just a few days, some of the issues began to improve. By the second visit two weeks later, some of the issues were behind us. We look forward to what will likely be our last visit. I thought it went very well. My dog seemed to respond well to David and I'm optimistic we'll be able to make Emma into an even better dog. Our Bark Busters training with David Wiley was comprehensive, offered in layman's terms, and certainly helped me understand our dog's thinking, and his daily interactions from his perspective. I came away with a better understanding of how my actions impact Shakespeare's passive training of us, as his owners. Wonderful first training session, My husband and I were really having a hard time with our puppy and David has given us tools to help with Charlie's behavior. He was very professional and we noticed a change in his behavior within hours. I am very impressed with the style of training and am so glad we chose Bark Busters! Neither we nor Jasper could have asked for a more perfect behaviorist/trainer. By the end of our initial session we had not only learned easy/sensible redirection techniques, but had gained an understanding of what was the likely cause of the problem behaviors. David managed all this in slightly less than three hours, with calm understanding and patient knowledge and authority. David arrived to an anxious household, but left a quietly confident, happy one. We are following up on his instructions and suggestions at all times and are looking forward to our next sessions. As an aside, we never dreamed "watch your tone" and "be a tree" would be go-to items in our vocabulary. We thank David and Bark Busters for them --- they really work! And the door hanger is a stroke of genius. Session went well and we learned a lot. I will practice the methods and suggestions David Wiley made. Georgie is responding well although he is still trying to be the leader. Our training session was excellent! We saw immediate results with our pup. And we are hopeful that working with him, using the tools we were given, will show long term improvements. David is really knowledgeable and was able to make progress with our dog within minutes of beginning training. We still have lots of work to do, but I am confident that with David's help we will get there! Great lesson for the family! We are learning together how to be better dog owners. I cannot thank David enough for all of the training and knowledge he has provided us. It was amazing to see our dog finally listening to us and to learn that you can still train an older dog. David is full of wonderful knowledge and never made us feel like bad dog owners because we had a poorly behaved dog. I resisted calling a trainer for a long time. I've raised dogs before and have never had a reason to pay money for the help. When we adopted our youngest dog, Kylie, however, we found that she came with some issues with which I did not know how to deal. She was afraid of all other dogs (with the exception of ours) and when she encountered them, she would panic, barking, pulling, and eventually crying and even screaming. She was next to impossible to walk calmly because she could almost never focus. Following commands was always hit and miss and keeping her calm when we'd get company was a lost cause. Overall, it was difficult to spend time with her outside of the house David Wiley was brilliant. He helped us identify some of the behaviors that needed addressing and introduced us to some methods that helped not only stop problem behaviors but started developing really good ones. We saw results by the end of our first meeting and have seen major changes in just the first month of using the techniques he taught us. The session starts out with him getting to know the clients and really talk about the dog and the home the dogs are in. It's great because he helps you figure out the specifics of how to use the training he give you in the specific situations that come up in your and your dogs lives. He spent over two hours with us in our first session and we only stopped because our poor Kylie (the dog) was tired from working so hard. He helped us develop not just an approach to helping our dog but also helped us work out a schedule. This has been a really wonderful experience and each time we have another meeting with David I see Kylie really develop and start learning new things. As far as the price, which was what I had been a little apprehensive of, David did not pressure us at all into any of the higher priced packages. In fact (because I had told him that price was a concern) he very honestly told us that he did not think we needed the most expensive was anything we really needed and even suggested we just schedule a couple of meetings to see how well Kylie developed. I found him to be honest and realistic and very helpful. A word about the Guarantee that goes with the training, only because I noticed some people did not have glowing things to say about it. The only requirement is that you stick to the training techniques that Bark Busters teaches you, and with the support, as new things come up you can get advice or schedule new meetings. I can only say good things about it and because Bark Busters offers an approach that is new to me, it means I get to think a lot about what I'm trying to get my dog to do and how best to approach it. I cannot recommend David highly enough. David Wiley was absolutely brilliant in his assessment of what my two small dogs (one is 7 yrs. old and the other is 11) required, but mainly on what behavior I needed to modify to get the results I was looking for in training these two little "older gals". You know what? You can teach an old dog a new trick -- I am living proof (49 yrs. old) and already after implementing his training two days later, they are as well. If you have a dog or dogs, no matter their age, I would highly recommend David's services. The first lesson was wonderful. David pointed out some things we were doing that needed to change but more than anything he showed us how to help Kylie learn to behave the way we need her to. We saw some great results right there in the first lesson. He is so friendly and kind and SO helpful! As we worked with her after the first lesson we started seeing results in all areas. There was a time when Kylie could not pass another dog on the street without getting afraid and starting to bark and cry. Now she's able to do that. It's just amazing! David Wiley clearly has a significant amount of experience. Our German Shepherd puppy responded to him instantly. His training was very helpful and he explained all of our questions thoroughly. If you have a young family, having an in home experience was more productive, involved the family, and it worked with our schedule. Great experience with Bark Busters! Wow! What can I say, except that David Wiley was awesome! My dog Macie immediately caught on to some of the techniques within the first 20 minutes. I'm so excited knowing my dog, with the help of David and Bark Busters is going to be the most amazing, well behaved dog that I could ever imagine being the owner of!! Thank you David!! David is great! He is very personable and he listened to all of our issues. He then prioritized what we should work on first and gave us advice and techniques to resolve our dog's issues. We have seen good progress. David Wiley was very helpful! Good to include the whole family. Effective. Nice to have f/u materials. Thank you! When adding a new rescue to the one-dog pack, I consulted with David Wiley, which has proven to be the best decision I made. Well, other than adopting my new dog Ricky. With David's expert training and advice, not only was the transition as smooth one but he helped me address the separation anxiety my older dog had been experiencing. Working with David has truly been Woof-while (I couldn't resist)! Fantastic experience with David Wiley! He was very professional and personable with me and a fantastic trainer with my dogs. Actually, he spent most of the time training me, and that was exactly what was needed. I am truly quite amazed how my dogs are responding to me and how much their behavior has changed right after the first session. Highly recommend him and his method seems quite appropriate and it works! I have 3 Standard Poodles. I called David due to my dog's extreme separation anxiety. By establishing myself as the dog's leader, under David's expert guidance, my dog's behavior has changed radically for the better. My dog no longer experiences intense anxiety, no longer howls when I leave my apartment -- and just seems calmer in general. David Wiley is professional, polite and above all, very knowledgeable. He was very patient in giving his instructions and demonstrated how to accomplish my goals. I feel comfortable in knowing that I can turn to David with questions when they arise. I got in touch with David Wiley as our French Bulldog Atticus was having pretty serious dog aggression issues, as well as a couple of other minor things. David spent the first lesson giving me some basic tips, showing me how to change my hold on the leash and making me walk up and down our little driveway giving me pointers all along. I was able, on subsequent walks with Atticus, to be more confident and not as anxious about bumping into other dogs. With time, our walks got better and better and things are hugely improved. David trained us both with incredible patience and calmness which I think contributed to my increased comfort on our walks. On our last lesson we went up to the off leash dog park and though we couldn't go inside with Atticus, we walked up and down outside so that he had more exposure to other dogs. I've done this a few more times and I think pretty soon Atticus might be just fine dealing with other dogs. This has been a great experience and I would highly recommend David Wiley to anyone looking for a trainer. David Wiley had not seen my dog Malcolm in 10 years. He came over and got me right back on track and Malcolm responded very well. He is learning to sit at the top of the stairs when people come to the door, and my walk with Malcolm was an immediate success. I only wish I had called him sooner. David is very to the point, clear and worked great with Malcolm. I hope to have David back out in a month or 2 to show off the training. Thanks so much for the re-fresher course. I needed it!!! I think Malcolm is happier as well! Our dogs, Riley & Tallulah have always been well-behaved, loving dogs. However the few issues (howling and pulling) we do have with them make our time with them stressful. When David showed up, our dogs' lives were changed! We instantly were given the tools to correct the uses we had. We saw a positive improvement, instantly. We are VERY happy customers! I thought David Wiley was extremely patient with our dogs and we humans. We have learned so much! Thank you David Wiley! I never wanted to "train" my dog, thinking that it would take all of his personality away. After one session with David I realized that I am the one that needs training! Clear instruction, great understanding and honest answers. I never felt like I was handling my dog incorrectly, but after working with David I have a much better relationship with my dog than I could have ever hoped for. Once again, thank you David! David Wiley is the best! 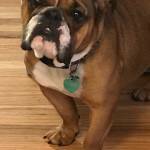 We contacted Bark Busters after receiving a recommendation by a local rescue group to have our Old English Bulldog, Hurley 'put down' because he had bitten one of our kids. We have had Hurley since he was a puppy and he went through several obedience classes and instructors. We were so distraught and beside ourselves at the thought of having to lose him. Our last effort was to call Bark Busters. I will admit that the price was a bit steep. That was my thinking until we actually had the first session. Now I can say it was absolutely worth every penny! The change in Hurley is amazing. He comes when called (which is miraculous) and has learned appropriate boundaries with our kids and adults. Even my father in law commented that it seems like Hurley is a totally different pup. I am very impressed with the techniques and time that David puts into helping people and their canine companions. I would recommend him to anyone! Thank you David!!!!! David was here for several hours and we already saw great improvement in Loki's aggressive behavior toward my husband. We are using the corrective commands when she barks or runs at my husband. We are very excited to continue to train Loki and know we have great tools to work with. David was wonderful and was very helpful in explaining to us how Loki acts as a dog is different than how we preceive her. Thank you, David and Bark Busters! On the road to a lovely dog/human relationship. I loved our first training session. David was very clear about the process and made me feel comfortable about my concerns. Edmund also really seemed to like him! David Wiley was very knowledgeable and helpful. He broke things down in such a way that they made sense and made it possible for us to follow thru with what we needed to do. He has been especially helpful in talking with me and touching base as the week has gone one and other issues have come up. We have only had our dog 3 weeks so we are still in the process of getting to know him and what his issues are. Thank you David! David Wiley is very calm, organized and patient. He is also very honest and brings up owner behaviors that contribute to dog problems. The tools are easy to use, progressive in intensity and work. The main emphasis on me practicing every day!